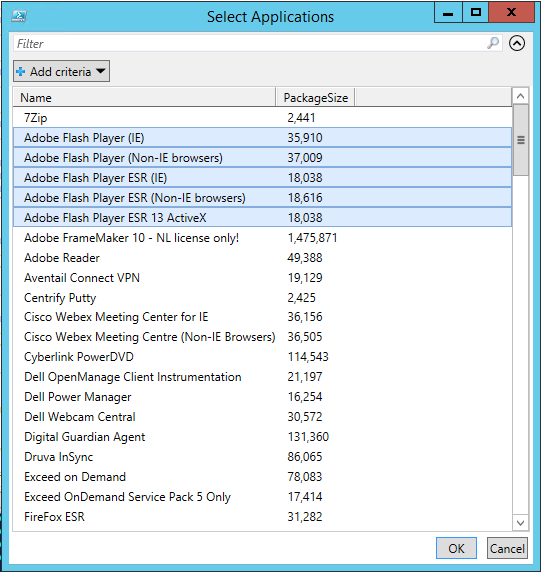 Have you ever wanted to select a group of applications or packages in ConfigMgr and find out the total size of the content files for all those packages? Or maybe you have your packages organised into folders in the ConfigMgr console, and you want to find out the total content size of all the packages in that folder? 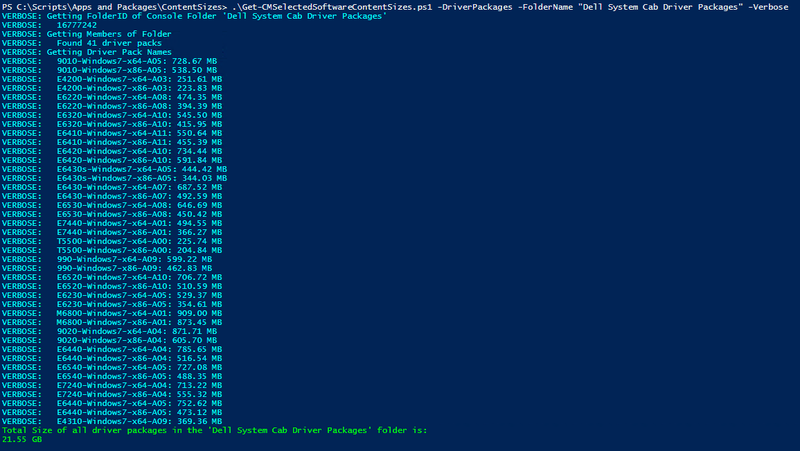 Well with PowerShell you can! I wrote this script to help me in calculating the content size for multiple packages of any type I choose – applications, standard packages, driver packages, boot images etc, so that I know how much data I am sending across the wire when distributing packages to a new distribution point. If your network bandwidth to a distribution point is limited, then it is helpful to know how much data you are sending so you know whether you need to set rate limits, or distribute out of hours etc. 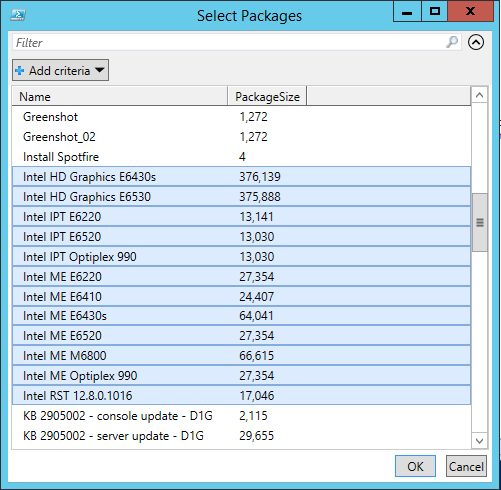 This script uses PowerShell’s handy Out-GridView to display the list of available packages for the package types found in the Software Library (you choose) and allow you to select multiple packages. It will then calculate the total size of all the packages you selected. If you use the -Verbose option, it will also report the size of each individual package. 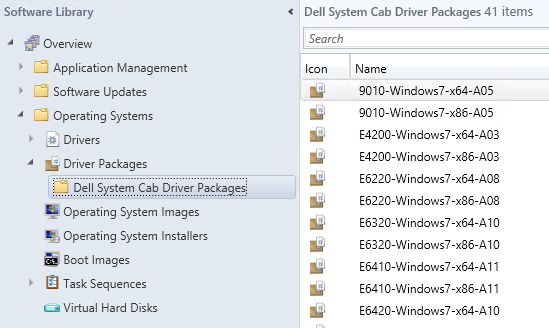 For Applications, Standard Packages and Driver Packages, which are often organised into sub-folders in the ConfigMgr console, you can also specify the folder name, and the script will return the total content size of all packages in that folder. Download from the Technet Gallery here. The script also has comment-based help.